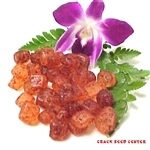 Cool, smooth, refreshing rock sugar with a touch of li hing mui juice and powder. A hit for all ages! Don't forget to try our other Li Hing Candies!